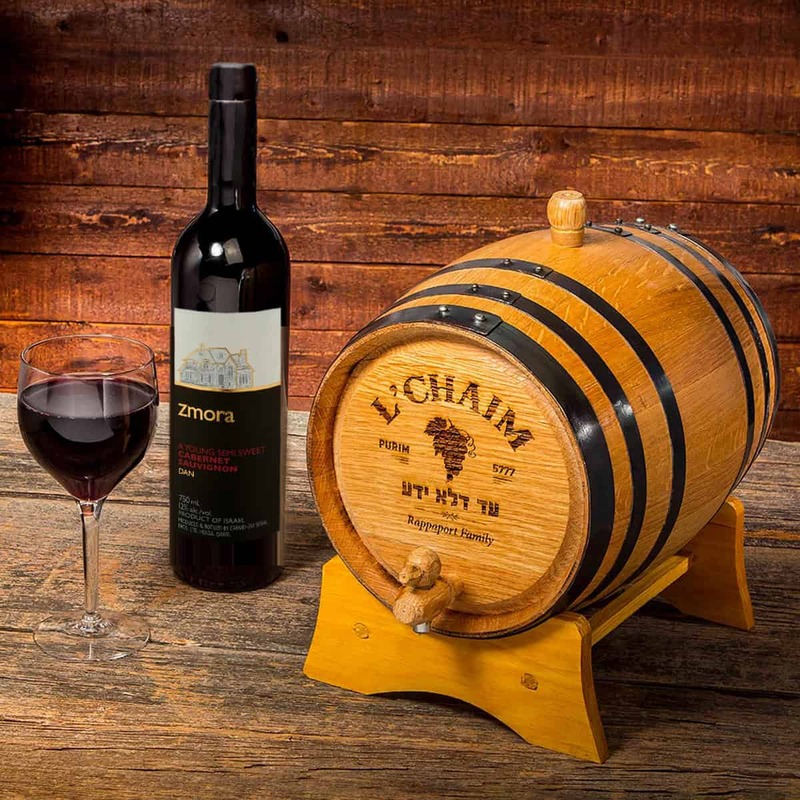 Say L’Chaim in style this Purim. Our distinctive wine barrel is both beautiful and functional, with time-honored oak stave construction reinforced by steel hoops, and finished with a spigot, bung and wooden stand. Pour the wine and let the Simcha begin. This unique Judaica will find a prominent place in any home or office. Arrives with a gift boxed bottle of fine Cabernet Sauvignon and a gift box of wine-barrel shaped chocolate truffles and hamentaschen. Detailed instructions included for aging whisky or storing wine. This barrel can be PERSONALIZED. 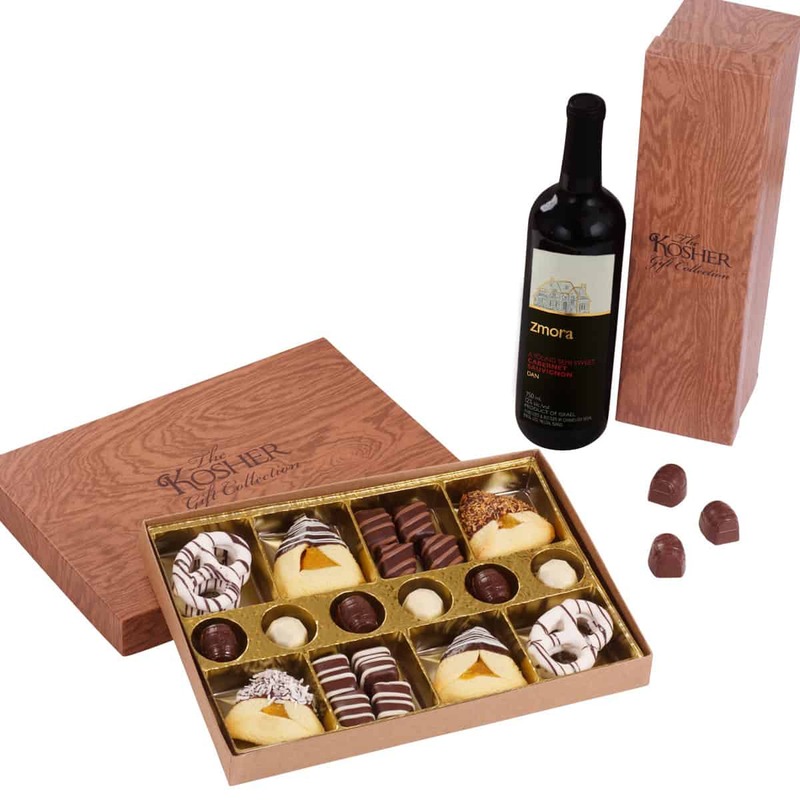 Think of adding “Vineyards” or “Estates” after your recipients name for a memorable Purim gift! Please include your name, order number and the name and address of your recipient. And of course what you want your barrel to say!